The above chart shows the inflation evolution in Venezuela during the years ended December 31st, 2012 and 2011. All figures can be downloaded from Banco Central de Venezuela´s web page (www.bcv.org.ve), “Información Estadística” section, “Indice Nacional de Precios al Consumidor (INPC)” tab. Three years figures come from my own computations. Inflation accounting is governed in Full IFRS under IAS 29 "Financial Reporting in Hyperinflationary Economies" and in IFRS for SMEs under Section 31 "Hyperinflation". 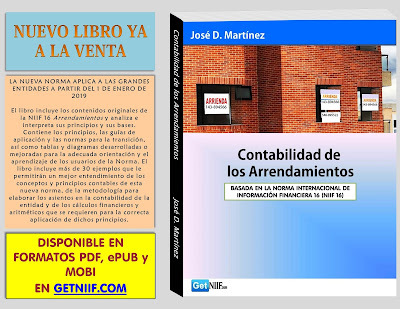 In Venezuela, this matter is also subject to the so called Bulletins of Application “BA VEN-NIF”, national standards that must be applied for all entities reporting under Venezuelan Accepted Accounting Principles (VEN-NIF). Venezuelan experienced accountants have worked with the inflationary matter for many years. Many experienced professionals are adequately trained in accounting and tax issues of Adjustment for Inflation Accounting, Deferred Income Tax from Inflation Adjustment, Income Tax Adjustment for Inflation, etc. Less-skilled accounting students and professionals could confront challenging situations to deal with this complex issue. In the rest of the world, as there is virtually no inflation, accountants don't worry about this issue. Venezuelan accounting professionals are up-to-date with respect to the various BA VEN-NIF issued by the Federación de Colegios de Contadores Públicos de Venezuela (www.fccpv.org), the national accountants federation. Therefore, I will not address the circumstances under which Venezuelan entities have to adjust their financial statements for the effects of inflation, as established it these standards. But one thing is to apply the BA VEN-NIF to entities reporting in Venezuela under those rules and another is to apply Full IFRS´s or IFRS for SME´s to an entity reporting under any of these international standards. Circumstances affecting the above mentioned entities (these who do not report under VEN-NIF) but have to report under Pure IFRS (Full IFRS´s or IFRS for SME´s), is discussed below and I trust it will matter both to Venezuelan accountants reporting under any of the Pure IFRS and/or foreign accountants who must review or audit the financial statements of Venezuelan subsidiaries that should be consolidated in their parent companies´ financial statements. The situation arises from the interpretation of Pure IFRS in terms of the application of IAS 29 or Section 31. In both texts is set that the inflation standard shall apply to an entity whose functional currency is that of a hyperinflationary economy. These standards also defines when should be considered that an economy is hyperinflationary. Traditionally and for quite some time, it has been concluded that if an economy reaches 100% of accumulated inflation in a continuous period of three (3) years, it should be considered a hyperinflationary economy. Also, according to Pure IFRS, other factors should be evaluated, regardless of that figure, to decide if an economy is under the hyperinflationary condition. However, accountants and financial analysts generally have concluded that when the inflation of an economy reaches above 100% in three years, it is because the other factors are already existent (i.e. all these other factors are concurrent with the increased level of inflation) and therefore do not require to be verified. Then, traditionally it has been concluded that if the economy reaches 100% of inflation accumulated in three (3) years, it should be considered a hyperinflationary economy. Reviewing the chart above, you will conclude that Venezuela had to be considered a hyperinflationary economy in 2011, since the level of the accumulated inflation for the last three years was 102.60%. It should be noted that the 100% indicator was reached in Venezuela as of November 30, 2009 and have remained above that level until 2011. Question arises with respect to year 2012: ¿It is correct that Venezuela should be qualified as a hyperinflationary economy in 2012, if the accumulated index in the past three years ended 31 December was 94.81%? My answer to that question is unquestionably: Yes. Venezuela should be qualified as a hyperinflationary economy in 2012, regardless the cumulative index for the last three years is below 100%. It should be observed that the trend of inflation rate in the country remains unabated, although 2012 figures presented lower results (in a year) compared to 2011. It is noted, that despite the average of the first 11 months of 2012 was 1.36%, in December it was informed a big jump to 3.50% in just one month, disproportionate with respect to the previous months and which resulted in the highest monthly rate of the past 33 months. Taking into account the provisions of Pure IFRS (IAS 29 of Full IFRS or Section 31 of IFRS for SME´s) and as indicated in the previous paragraph, it should conclude that any entity reporting in Venezuela under these rules, must adjust its financial statements for the effects of inflation in 2012 and record and disclose all the effects of such recognition as it is established in the international rules. Impuesto a las Ganancias - Wladimir García C.